Yes – you read that correctly, and no it’s not click bait! Hello friends, good morning. My eyes are bleary and my legs are shot – but I’ve got 13.1 miles under my belt and a heart full of really fun memories! Let’s just get right into it, shall we? Because like…how in the world did it come to be that I made the — admittedly really stupid decision — to run on just 60 precious minutes of Z’s? Well – the night before was one of my best friend’s birthday party. And so I didn’t get home until 4:30 in the morning. Clean, innocent fun – just…really late! I came home, took a power nap for an hour, and then hopped in an Uber to Brooklyn, where the race began at 7am! I’ve got to tell you – it was such an incredible experience. I ran it with a dear friend, and we finished in under 2 hours! We started in Brooklyn, ran through Prospect Park, through the little BK neighborhoods, past the Barclays Center, over the Manhattan bridge, on the FDR Highway which overlooks the East River, through Times Square — which they had closed! — and finally, through Central Park and finishing at Tavern on the Green! It was like a love letter to NYC. You really got a feel for all the different neighborhoods and topography of the city. But the coolest part was that along the entire course, there were people cheering us on! It was such a sight to behold. Thousands and thousands and thousands of people, all lining the streets with signs and cowbells and enthusiasm – cheering on the runners! And naturally, over the course of the 13.1 miles, I got to do some thinking! Because, clearly — I had some time. But it was such a beautiful parallel to – not just recovery – but life in general. The course, it had some crazy hills, making that stretch of race particularly difficult. But to have a friend to run with, and having people there cheering us on – it made it easier. And dare I say it…fun! There’s nothing more beautiful, than community. Sometimes I think we underestimate the positive impact we can have on people. A kind word, a genuine smile, a random phone call to catch up — we are all running this life race together, and if we can cheer someone else on — it really makes a difference. 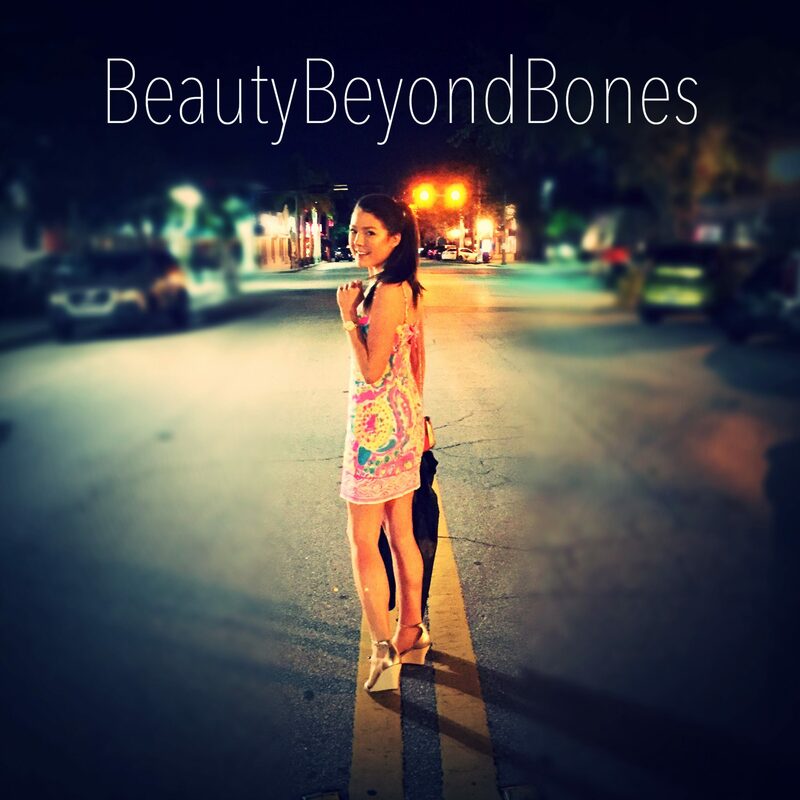 Another thing I thought about – was how far I’ve come in my freedom from anorexia. Recovery is a journey, and with it comes many seasons. And for me, one of those seasons in my early recovery, was a severe addiction to exercise. Exercise addiction is a common manifestation of an eating disorder, and many girls use it as a crutch in their recovery to – not so discreetly – hang onto a warped sense of control. And that was absolutely my case. And to read how I finally kicked that addiction once and for all — you can click here. But, to see how my relationship with exercise has gotten to where it is today — where I am no longer chained to grueling workouts, or self-hate-driven sessions of pushing my body to the absolute limit — it filled my heart with so much joy. So for me to be able to run a half marathon, out of pure enjoyment, celebrating my healed and healthy body, – it was a such a meaningful victory. I just remember back to those days, of feeling absolutely trapped – in a whirlwind – and just clinging to a false sense of control. How things have changed. My body is not mine to destroy. Nor is it the be all-end all to my worth. Nor, is it a punching bag for me to take out my fears and anxieties. It is a temple of the Holy Spirit. And how I treat it is a direct reflection of my love for the Father. Because He made me. He fashioned me together, and His spirit is dwelling in my heart. So the love and respect that I now show my body is an act of worship. Nourishing my body, staying healthy and strong, filling up my spirit with positive and nurturing relationships, celebrating all the wonderful things God created me to do: dancing, jumping, running, resting — it gives glory to God. My body is an act of worship. So being able to to do this race — from the right mindset — it was so incredibly meaningful. Will I be doing another half marathon? Eeh, probably not. Maybe if the spirit moves me, but for now – I’m going to just listen to my body — and right now, it’s telling me to take a nap and let it heal from the exertion yesterday! But before I do – I got a few DMs on Instagram, asking about tips for running a half marathon. So – the number one question was what type of running shoes: and here they are….They’re honestly like running on a dream. The insoles are orthopedic quality, so they are really supportive, and they look super cool. I also wore these on my 80 mile hike on the Camino de Santiago this summer in Spain. And let me just say – they are the best shoes I’ve ever owned. What are good pre run snacks when you’re gluten free? I like to go as nutrient dense as possible – so that’s nut butters, avocado, larabars. I’m not a huge fan of smoothies or protein shakes before a run, because it feels like it’s sloshing around in my stomach. So I always opt for a banana with lots of almond butter! Here’s the thing: if you’re like me, and are competitive to a fault, then you’ll want to keep up with “the pack” of runners. But honestly, you’re going to burn out so quickly if you try to run faster than you’re used to. So put your pride aside and just run your own race. Which, is honestly, such an allegory for life. But let ’em pass you! Especially at the beginning, it’ll feel like everybody and their brother is zipping past you, but just run your race. Have fun, and celebrate with gratitude for the ability to run and move your muscles! God is good! Also – this is weird, but always brush your teeth before you go! haha Having a pleasant minty fresh mouth, in my opinion, is the optimal experience. Plus – not to be gross, but if I can feel, like, part of a pumpkin seed stuck in my molars, it will drive me nuts the whole time. So yeah — brush your teeth. And – shameless plug – use my magic whitening toothpaste! Haha I’m not kidding – it’s a life changing product! And similarly, always slap on some chapstick before you go. In my running fanny pack, I always keep my favorite tube of chapstick, and Listerine pocket strips! Lastly – REST!! After a long run – especially a half marathon, your muscles are taxed!! So give it a break! Treat it with some love. And on that note — take care of your feet! When I’m just walking around the house, I wear my Yoga Toes, which really helps keep my alignment correct. And then I always make sure to remove any callouses, and keep them lotioned! OK that’s all for today! Have a great day! Next Post Crimson Matchstick Salad! Congrats & God bless. That is amazing. Would never be able to myself. That’s really cool, well done! Your testimony of healing is awesome! P.S. I have been wearing Brooks for at least a decade or more. I wear the Adrenaline GTS in 11.5. 😊 I even have a bunch of old pairs in the garage for mowing the lawn too. Can’t wait to get the GTS 19s. Brooks is the best! God bless! Congrats on the big run! I USED to be able to do that, too! Used to (2-mile relay and cross-country)! But that was many, many years ago. Do it while you can. Congrats on finishing the half marathon! Well, congratulations on finishing! For as much as I used to exercise on a NordicTrack and Schwinn Airdyne, I could never run very far at all. And then to do it on 1 hour of sleep? You’re a maniac! My favorite point from this article is how important community is! We’ve got the BBB community, the general blogging community…it’s another way of saying we all have each other! It seems people underestimate community, especially when it comes to church. “ I can be a good Christian without going to church.” Yeah, and you can go hiking alone, but what happens when something goes wrong? You’ve got no backup, no support! Hiking through the world without the help of a community of believers is dangerous stuff! I could see some other good parallels to life in your experience, but this was the standout for me. Thanks for always having something good for us to chew on! Amazing job. I ran the full Marine Corps marathon on 1 hour of sleep (because I get insomnia before big events). It’s amazing what the body can do. Hey Caralyn: congratulations on a great run. Thanks for the running tips. I’ll use them next……..oh, that’s right, there can’t be a next time, there wasn’t a before time. Although some days I feel like “before time”. 😀 Back to the tips. Since I am not running, does that mean I don’t need to follow that good advice you have given?? Seriously, congratulations really, you are remarkable. You take care of God’s entire temple that He has entrusted to you, so well. Hearing what you are able to do physically tells that you are eating and exercising well. Reading and hearing what you are doing Spirituallly, certainly tells the fact of you spending time with our Father, and our Saviour Jesus Christ, as well as heeding the voice of Holy Spirit as He coaches and encourages you through this marathon of life. You do great running through this marathon of life, and also as you coach and encourage many others along the way, stopping to give some a cold cup of refreshing water to their spirit, and to the hungry a bite size encouragement nugget. Congratulations for finishing! I bet New York City has not been the easiest place to recover from an exercise addiction, but I’m so happy you have now found yourself in a healthy relationship with exercise! Great job on the run! You know, after reading your posts I feel inspired. I love how you describe your transition to thinking of your body as a temple for the Holy Spirit. Reading that made me think about how I view myself and my body in a different way. So thank you for that. God bless you! That is incredibly impressive and nuts all at the same time, lol! I can’t even imagine how your body feels! But way to go my friend. I can say I’ve done some crazy things in my twenties after a night of partying but never getting up and running a marathon after an hour of sleep! Thanks for continuing to share your journey with us. I always enjoy reading your post! You’re welcome! Yeah I would never do that, lol! Wow ! Congrats from one who used to run (200 lbs & bad knees). The good endorphins must have felt great. Nice going. It’s great to put your thoughts into action. That’s how life’s experiences unfold before you, rather than getting stuck with imagined possibilities. That’s progress. Good on you. I read aloud, “the love and respect that I now show my body is an act of worship” and surrounding paragraphs to my daughters. Sound theology! Great job, that under 2 hour mark is an amazing feeling. Congrats to YOU!! YOU did it. I do not see me running a marathon. I remember being addicted to exercise back when I was anorexic and weight-obsessed. This was years ago when I was a teenager. I never did enjoy gruling workouts but would like to get back into exercising. However, my lungs are no good and I cannot run (an actual medical condition which prevents me from running). What you did I could never do, and it takes a lot of strength to power through that. It must feel nice having accomplished this goal! you’re so welcome 🙂 much love to you ! Such an exciting way to do a run! You’ve done a spectacularly-written post. What great ambition! Congratulations! A truly beautiful outlook on exercise. Glad you had a decent day to run. Congrats! Serious kudos to you for completing such an accomplishment with precious little sleep! Congratulations! On one hour of sleep and you two made great timing! Way to go!! 13 miles in two hours? After only getting 1 hour’s sleep? There SHOULD be a special medal for that feat. Just saying. Wow impressive! Having 6 hours of sleep, I ran a 1/2 New Year’s Eve in 2:26. You smoked me! Beast mode. Great work. For sure! No it was in Texas! But it was cold that morning! gotcha gotcha — ah, God bless Texas 🙂 love that state. Indeed. Near Dallas. Great place to live. I haven’t been to New York in a while I think last time was to Harlem in 2016 to preach. Oh cool. You’ve gotta come back!! Spring is the best time in NYC – hands down! Thanks for all of your writing! You do great work and having impact in the lives of others. Keep it going! It’s so encouraging to see your growth. It gives me hope to know I could move past my demons. I don’t recommend the lack of sleep but I am proud of your commitment. Also this post is a great reminder to run your own race. My first adult race (not counting high school and after I turned 18) was a half marathon — and I never considered myself a real runner! I have since completed 24 marathons. I am hoping that a marathon will be your next experience as it is a once-in-a-lifetime accomplishment that can sustain you the rest of your life — through good times and bad. Great job on the run! My biggest achievement is a 5k, but at least I have a few of them to be proud of. You are such an inspiration! Thank you for reminding me about our bodies being a temple for God. I learned that in grade school and didn’t respect it until later in life. Now I need to respect it again. May God bless you in a special way today. More strength to your muscle. Awesome! 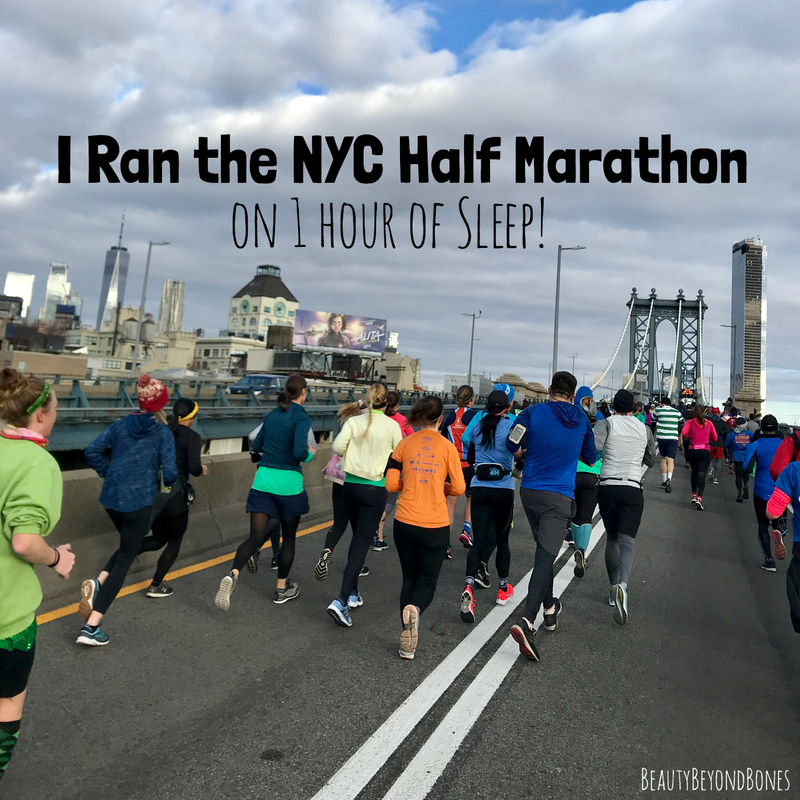 I’ve run races on little sleep and it’s a whole new experience, haha! Especially the recovery. But you are young so I’m sure you’ll bounce back quickly. Thanks for sharing about your recovery. I know a lot of exercise addicts. Congrats on the half-marathon, what an accomplishment! I saw you are on youtube, I am now one of your followers. I have a channel too, it is called Kathiey’s World. Thanks for your post! Sounds ike you think you could do better. Which is a sign you have caught the running bug. Think my best time is 1h40min. Since breaking my fifth metatarsal havent been doing that much but do miss it. Didnt break running, got caught with high heel, not good. Congratulations on your marathon and just being Happy. Thank God!!! Wow, that’s awesome! I mean, I know you’re not hosting a running blog, but I had no idea you ran (though, duh, right?) Great time too! I’m a little jealous. I’m running the Colorado Springs Half Marathon in September and I’m a little nervous about it… plus I’m looking at a possible finish time of over 2 hours (cuz I’m old and slow). Under two hours and you didn’t train for it. Geez… it’s a good thing I leave my Feeling in my other jeans so it doesn’t get hurt 😉 Seriously… despite my competitive nature, I like that running isn’t a competition between people (unless you want it to be). It’s not always easy, but I try to focus on only competing with myself. You’re strong in body, mind and soul!! Congratulations! That is so amazing. I know the title wasn’t click bait, but it worked. All I could thing was, “This girl is Wonder Woman.” As always, you didn’t disappoint with taking an ordinary life event and extracting the biblical principles. I direct people to your blog all the time, especially Christian ladies. Thanks for being a bright spot on the internet! Hi Caralyn! Great job on finishing your NYC Half! It’s inspiring to see you relate your athletic endeavors to your recovery. Thanks for the tips, too! I had some Brooks shoes that I liked a lot and ran many miles in them until they wore out. Was this your first half marathon? PTL! Congrats on finishing your race. Thanks for sharing NY with me in a whole new personal way! So loving! Thank you for being so patient with me to answer! I gave that extra copy of Bloom to my friend. I mentioned that too in Leah & Rachel Bible Study Night 2 of 6. She loves it! Me and God love you! Oh my gosh I am so incredibly touched by that!! I’m so glad your friend is enjoying it! You rock, Gail. Thank you! Love you, friend!